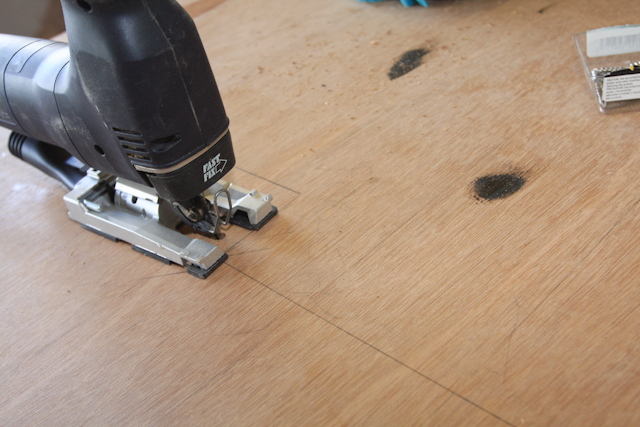 I am bouncing back and forth between various building tasks now that I am nearing the last few dozen steps. 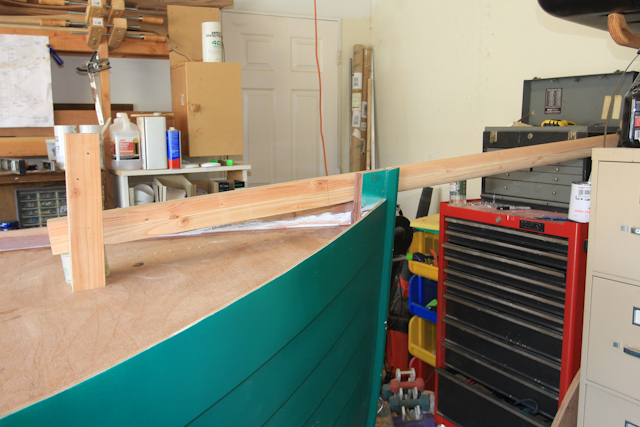 The bowsprit has been shaped to approximate dimensions and the Bitt has been installed in the boat prior to priming. 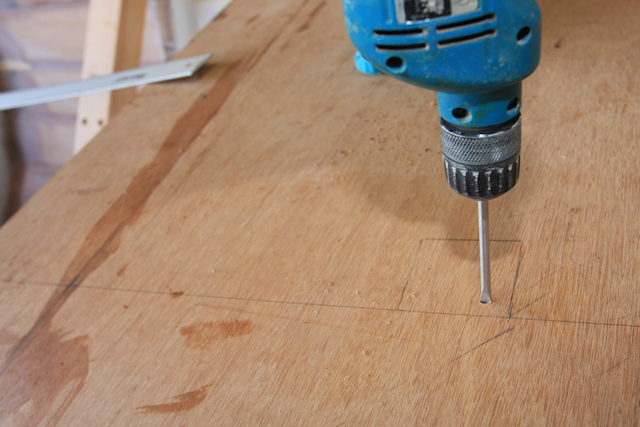 A few extra photo’s showing how I cut the hole for the bowsprit. Not complicated but I had the photo’s. 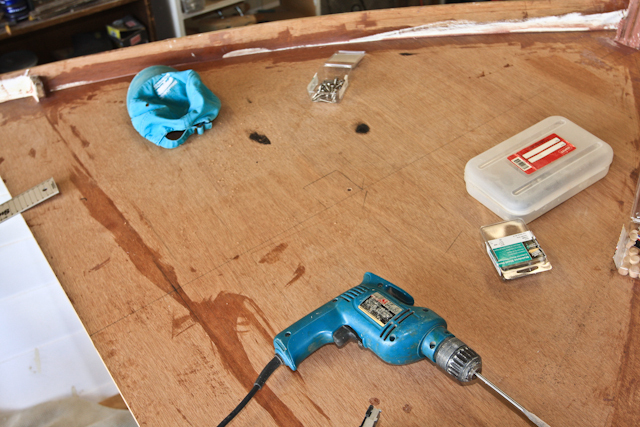 I also like to occasionally put parts together to see how the boat will look before needed to. 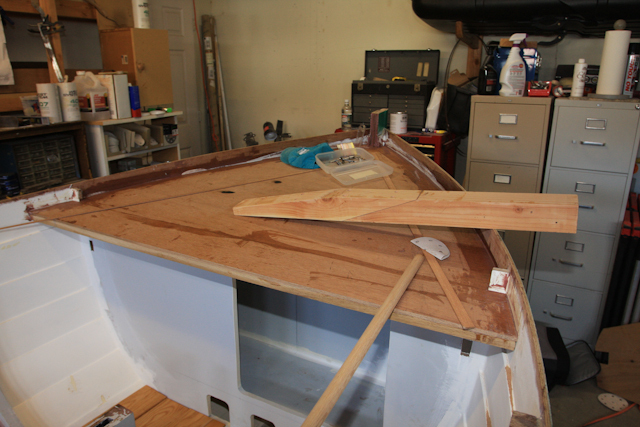 In this first photo I have the floorboards and partially completed seats showing in the background. I remove these and return to safe storage as I progress towards the interior prep and painting. More shaping needed, but progress has been made. 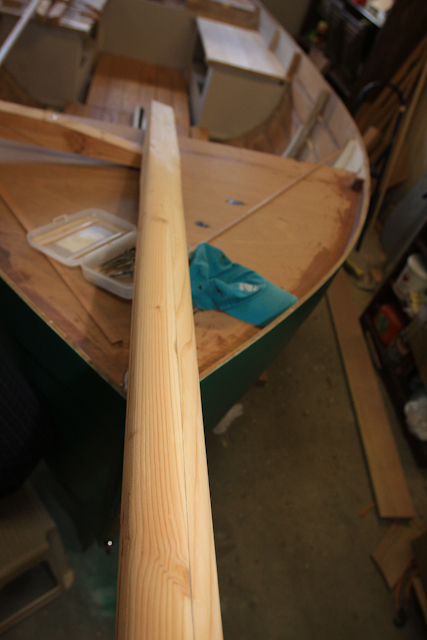 Bitt installed, Bowsprit in approximate location.